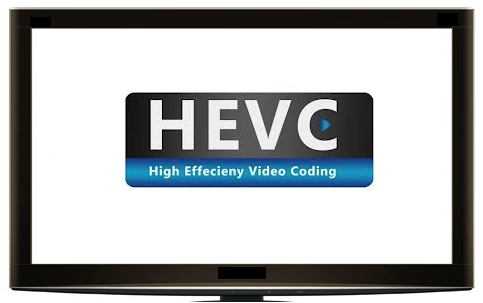 Germany looks set to overtake the technology used in the UK for digital terrestrial television with plans to adopt the new High Efficiency Video Coding (HEVC) standard on its terrestrial broadcasts, likely as soon as 2017. HEVC will allow German broadcasters to carry up to 7 HD channels per digital multiplex, reports Digitalfernsehen.de from the Medientreffpunkt Mitteldeutschland. The change will coincide with the previously announced move to the DVB-T2 transmission standard, used in the UK for Freeview HD, as reported here in September 2013. In the UK, DVB-T2 is used with MPEG4/AVC video, which allows up to 5 Freeview HD channels per digital multiplex. Newer, "Freeview HD" certified receivers are required to watch these services. Freeview HD was first introduced in 2009, before a public launch in 2010. Devices that can handle terrestrial transmissions using HEVC are expected to become available in the coming years, and 2017 is the date when it will be "highly likely that enough consumer devices will support the [HEVC] codec", according to Ulrich Liebenow from German broadcaster MDR. In a country where most terrestrial multiplexes only carry four standard definition channels at any one time, the switch is also being seen as a way to reduce distribution costs for terrestrial broadcasters. And with the drive to switch broadcasts to DVB-T2 and HEVC from 2017, commercial operators such as RTL, who previously indicated that they were going to cease all terrestrial distribution of their channels, appear to be on board. RTL has recently renewed its contracts to broadcast its channels on terrestrial TV in parts of northern and western Germany, although it has in the past year terminated terrestrial broadcasts in Bavaria. Some are seeing the migration to DVB-T2 and HEVC in Germany as a way to facilitate clearance of more TV frequencies for mobile broadband services. However, as in the UK, there is a strong resistance from broadcasters, and the talk is of the same number of frequencies being used to transmit more channels. Currently, not all of the German licence-fee funded public service channels are available terrestrially, and the switch could facilitate this. In the UK, Ofcom is looking at options post 2018 when it foresees that more frequencies are handed over to mobile network operators. In a "second switchover", all services could switch to DVB-T2, meaning that viewers who don't have a "Freeview HD" certified device would need to make the switch to continue watching terrestrially. A switch to DVB-T2 would allow most of the current Freeview service to remain intact on less frequencies, but without the adoption of HEVC, would restrict the number of HD channels on the platform in the long term. However, a switch to HEVC in the UK would render every Freeview device currently in use as worthless. In Germany, terrestrial television has a much lower audience share, so a switch will not carry the same burden as in the UK. The fast changing pace of technology means it's extremely hard for broadcasters and regulators to future-proof a particular standard. And there's no hope for any casual TV viewer who doesn't see the need to replace TV equipment every four or five years. By the time enough UK viewers had purchased a receiver for Freeview, the original DVB-T/MPEG2 service was technologically out-of-date, and countries including France and Ireland began plans to adopt DVB-T/MPEG4. Ofcom saw the new DVB-T2 transmission standard coupled with MPEG4 video encoding as a way to shoehorn HD on to Freeview. Now, just as enough viewers are being encouraged to buy devices that are compatible with the Freeview HD standard, the threat of HEVC being adopted in the future might just prompt some to hold off until HEVC compatible devices hit the market.